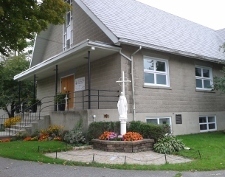 Welcome to Our Lady of the Miraculous Medal Parish! Ours is a welcoming and Spirit-filled Community; a community whose hearts' desire is to worship Our Lord and Our God in spirit and in truth! Feel free to browse our website so as to get to know what's happening in our parish family. Most importantly, you are welcome to join in our Eucharistic celebrations on weekdays and weekends, for it is in and through the mass, the breaking of bread, that we encounter the Risen Lord, enter into communion with Him and with each other! May the peace and love of Christ which surpasses all understanding be yours always!